KEN YUSZKUS/Staff photo. 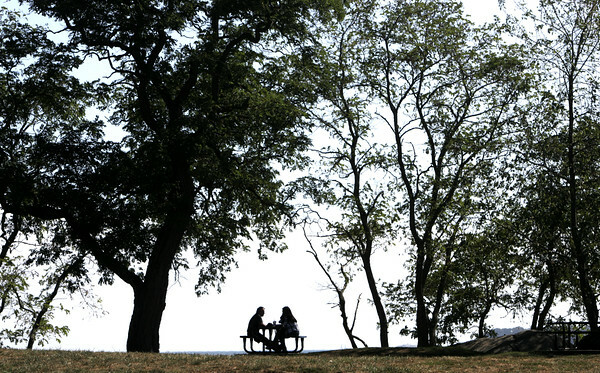 Two people sit under the trees at a picnic table at Dane Street Beach in Beverly at lunch time. 9/28/15.